Just in time to help strengthen our resolve to fight sinas chinam, Rabbi Ephraim Belitzer in Yerushalayim has published B’Nesivos HaChafetz Chaim that offers inspirational insight into how to improve relationships with our fellow Jews by emulating the life of the Chofetz Chaim. 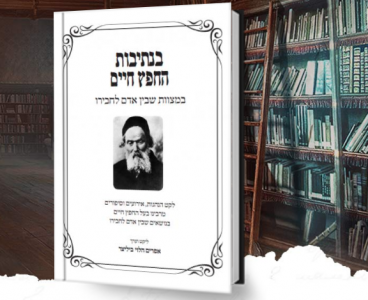 This collection of stories (written in Hebrew), some known, and others less known, was researched from twenty sefarim as well as culled from discussions with talmidim of direct disciples of the Chofetz Chaim. The sefer features thirteen chapters addressing caring for others, hachnasas orchim, Shalom Bayis, communal responsibility, aspiring for truth, avoiding machlokes, and more. 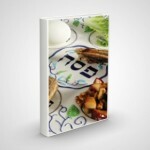 Please download the sefer here.